Are Weighted Baseball Velocity Programs Safe and Effective? Weighted baseball velocity training programs continue to rise in popularity in baseball pitchers of all levels despite us not knowing why they may improve velocity, the long term effects on the body, or the most appropriate program to perform. Unfortunately, it seems like the trend is towards more aggressive programs every day. The following is a summary of the 2-year research project that we have just finished conducting at Champion PT and Performance. Myself and Lenny Macrina teamed up with Dr. James Andrews and Dr. Glenn Fleisig of ASMI to design and conduct the first study to document the effects of a 6-week weighted baseball training program on pitching velocity, arm characteristics, and injury rates. This may be the most important research project I have conducted to date. Weighted baseball programs continue to rise in popularity while injury rates continue to soar in baseball. This is completely unbiased scientific research that has been conducted with sound methodology. I actually make a living rehabbing baseball injuries, so you can assure I am sincere when I say I want to decrease the amount of baseball injuries. I simply want to advance the game of baseball. The injuries we are seeing at the youth, high school, and collegiate level are heartbreaking. Collegiate and minor league baseball pitchers are having their second Tommy John surgery, which have a low success rate. When I first started working with baseball players, Tommy John surgeries were occurring in older baseball veterans, not youth. The severity of injuries we are seeing are significant. Never before in my 20 year career have I seen such an enormous amount of significant injuries in baseball players. We have presented the findings of this study at numerous conferences so far, and the manuscript is currently submitted for publication in a scientific journal. It is currently in the running for the 2018 Excellence in Research Award by the Sports Section of the APTA. I’ve decided to publish an initial summary because I know many people are looking to start weighted baseball velocity programs this offseason. The journal submission and publication process can takes months or even years to finally get the information published, and I did not want to delay any further. There has been a recent increased emphasis on pitch velocity within the amateur and professional levels of baseball. According to Pitch/FX data, the average fastball velocity in MLB has gone up each year since tracking began in 2008, from 90.9 MPH to 93.2 MPH in 2017. Previous studies have shown both a correlation between increased pitch velocity and increased elbow stress and elbow injury rates. Thus, it is not surprising that injury rates continue to increase in a nearly linear fashion with increased average pitch velocity. This emphasis on pitch velocity has resulted in the development of several velocity enhancement programs often marketed on the internet to baseball pitchers. These have become increasingly popular with amateur baseball players looking to enhance their playing potential in the future. One of the most popular forms of velocity enhancement programs utilize underweight and overweight weighted baseballs. These programs have been theorized to enhance throwing mechanics, arm speed, and arm strength, resulting in enhanced pitch velocity, despite this not being validated scientifically. Several studies have shown that weighted baseball training programs are effective at enhancing velocity, however, we still do not understand why or the long term effect of these programs. Thus, the purpose of this study was to determine the effectiveness of a 6-week weighted baseball training program on enhancing pitch velocity while also quantifying the effects on biomechanical and physical characteristics of the shoulder and elbow. Youth baseball pitchers between the ages of 13 and 18 years old were recruited for the study. To be clear, there was one 13 year old who turned 14 shortly after, who was in the control group and did not throw weighted balls. The majority of subjects were ~16 years old. We just reported how old they were in year, not the months, many were almost 16 years old. If we were to have used the month, the mean would have been about 16 years old. We choose to use high school aged pitchers because we wanted the study to look specifically at this population, as these are the baseball pitchers that are often looking to perform a weighted baseball program due to the aggressive amount of marketing online. 38 youth baseball pitchers with the mean age of 15 years old met these criteria and agreed to participate. Subjects were randomly divided into a weighted baseball training group and a control group. Upon enrollment in the study, baseline measurements of shoulder passive range of motion (PROM), elbow PROM, and shoulder strength were measured for each subject. They then underwent baseline pitching performance testing while we recorded pitch velocity, elbow varus torque, and shoulder internal rotation velocity using the Motus M Sleeve. After the baseline testing, both groups were allowed to participate in a supervised baseball offseason strength and conditioning program. All subjects participated in a throwing program, but were not allowed to practice pitching off a mound. The weighted baseball group performed a 6-week weighted ball throwing program in January and February of the baseball offseason. Throwing was performed 3 times per week. The 6-week program was developed to be similar, if not more conservative, than commonly marketed weighted baseball velocity programs available programs for baseball pitchers. The volume, frequency, and weight of the balls used was less than many popular programs. Over the course of the 6-week program, throws were performed from the knee, rocker, and run and gun positions. Over the course of 6-weeks, there were 540 total throws, 18 of these were with 2lb balls at full intensity with run-and-guns. This only represents 3% of the program. We should not lose focus on the other 97%. The control group performed an independent throwing program using standard regulation 5 oz baseballs and were not allowed to throw with any underload or overload balls. All measurements were repeated after 6-weeks for both groups. The subjects went on to pitch as normal through spring and summer baseball season. Below is a summary of the major findings of the study. The results were eye opening for me, personally. I feel like we have discovered why weighted baseball training programs may work, and you could argue this isn’t for a good reason. Weighted baseball training on average does help increase velocity, however, not in everyone and some people actually go down. Many people that did NOT perform the weighted ball program also increased velocity. There was a significant increase in almost 5 degrees of shoulder external rotation range of motion in the weighted ball group. This rapid gain in external rotation occurred over a 6-week training program and did not occur in the control group. I have previously published my results and reported that shoulder external rotation increased from pitching, however, reported only a 5 degree increase in external rotation in MLB pitchers over the course of an entire 8-month baseball season. While we are not able to determine the exact cause of the increased pitch velocity, based on past studies it may be from the increased amount of shoulder external rotation observed following the weighted ball training program. Previous biomechanical studies have shown that shoulder external rotation mobility correlates to both pitch velocity, as well as increased shoulder and elbow forces. It is not known if such a rapid gain in external rotation following a 6-week weighted baseball training program is disadvantageous or challenges the static stabilizing structures of the shoulder. However, previous research has shown that 78% of pitching injuries occur in athletes with greater amounts of shoulder rotational motion. One of the more interesting findings to me was that external rotation rotator cuff strength actually went up in the control group and not the weighted baseball group. During the 6-week period, subjects in both groups were allowed to perform a baseball-specific offseason strength and conditioning program. Strengthening of the rotator cuff, particularly the external rotators, was a specific focus of this program and has been shown to increase pitching performance. The control group showed a 13% increase in dominant shoulder ER strength, which we were thrilled about, while the training group showed no change. It appears that not only do weighted ball training programs not help develop rotator cuff strength, as previously theorized, they may in fact inhibit strength gains and should be further investigated. There were no statistically significant differences in valgus stress or angular velocity of the arm in either group. Arm strength, arm angular velocity, and arm stress were not statistically different following the training program. This refutes the commonly reported theories that the effectiveness of weighted ball training programs can be attributed to the development of greater arm strength or arm speed. Potentially most important to the study was the finding that 24% of those in the training group either sustained an injury during the training program or in the following season, including two olecranon stress fractures, one partial ulnar collateral ligament injury, and one ulnar collateral ligament injury that surgical reconstruction was recommended. 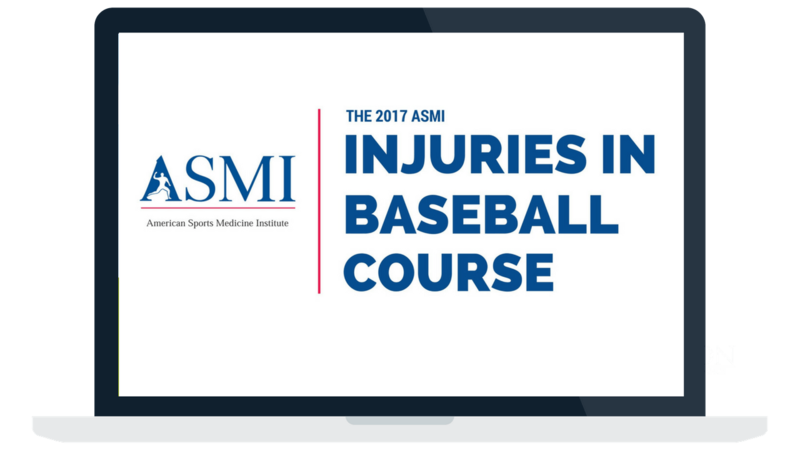 This is the first study to document the injury rates associated with a 6-week weighted baseball training program. No injuries were noted in the same time span within the control group. It should also be noted again that the weighted ball program utilized in the current study is far less aggressive in regard to the weight of the balls used as well as the volume and frequency of throwing, in comparison to many commonly performed programs. Of note, two players of the players that were injured both exhibited the greatest amount of increase in shoulder ER PROM of 10 and 11 degrees, making this appear to be related. It is unclear how quickly athletes gain external rotation and whether it occurs at a safe rate, and future research should attempt to answer this question. While pitch velocity may be enhanced, injury risk may also be elevated when performing a weighted baseball training program. Future studies should continue to assess the effects of different weighted ball training program on different age groups. We still need to find the right dosage to maximize the effectiveness while reducing the injury risk. Should You Perform a Weighted Baseball Velocity Program? Based on the results of this study, it appears that weighted baseball training programs are effective at enhancing pitch velocity, but the question is, at what cost? It is still unknown why velocity goes up. Since arm strength and speed were not changed after the training program, and Dr. Glenn Fleisig of ASMI has shown no change in mechanics, the increased pitch velocity observed may be related to this gain in shoulder external rotation motion. This is alarming to me, as I feel this may also at least partially explain the increase in injury rates. This is not natural. Realistically throwing any baseball, even a standard 5 oz baseball, has an inherent amount of risk. I, in fact, actually including weighted balls at times in both our rehabilitation programs and our Elite Pitching Performance Program at Champion. Essentially you need to be mature and developed enough to withstand the stress of these programs as well as justify the need to push the limits. Weighted baseball programs should not be where you begin when developing pitching performance. If you skip any of the above steps and jump straight to weighted baseballs, you are focusing on the frosting before you even baked the cake. For you to use lighter balls, heavier balls, or aggressive run-and-gun drills, you need to be even more advanced. Few will meet this criteria. There are many people that are willing to accept the increased injury risk, especially older baseball pitchers that are trying to make it to the next level. Weighted ball programs may be an effective option for you in this case, especially if you have maximized your throwing mechanics, strength and power development, and arm strength and dynamic stability. Unfortunately, most baseball pitchers I meet have not done so. While some older baseball pitchers may be willing to accept this risk in an attempt to extend their career or take their game to the next level, it’s difficult to recommend most others perform an aggressive weighted baseball training program. I’m not talking about warming up with a few light throws with a 6 oz ball, I’m talking about an aggressive several week- to month-long program with aggressive intensity using underload and overload balls. These are the videos that are being sensationalized on Instagram so much. Basically, if you are still growing, have inefficient mechanics, haven’t been training in a weight room for a significant amount of time, and have never performed an arm care program, you’re not prepared to perform a weighted ball program. Plus, I can show you several scientific studies that show different training programs and arm care programs can be just as effective, if not more, at gaining pitching velocity without the inherent risk. We can’t just be jumping to the quick fix. The problem I am seeing is that we are using weighted ball programs with everyone, regardless of age, mechanics, training level, and injury history. This and the fact that we continue to try to push the limits and get more aggressive. If a 16 oz ball works, than a 32 oz ball may be twice as effective. This is simply unrealistic and unsafe to think this way. I’ve talked about this before in my article, “Are Baseball Velocity Programs to Blame for the Rise in Pitching Injuries?” We are overdosing. I think the most scary trend I am seeing in baseball right now is the blind use of generic weighted baseball programs. This includes people buying a random program on the internet, or worse, a baseball coach starting one generic program with all players on the team. We’ve seen college teams with 4+ Tommy John surgeries with their players in one season, this was unheard of just a few short years ago. We need to make the adjustment. Weighted ball programs must be individualized, monitored, and implemented progressively. If you can’t do this, you shouldn’t be using them. Not everyone is appropriate for weighted baseball programs. Many players that are currently performing a program probably shouldn’t be doing so, especially if they haven’t established a proper foundation of strength training, arm care, and physical maturity. In fact, at Champion, we have found that stopping weighted ball programs in those that are not ready for this stress has resulted in an even bigger gain in velocity after we have focused on foundational strength training and arm care programs. We need to get this information out there so we stop seeing so many injuries in baseball pitchers. Baseball players, parents, coaches, and even rehabilitation and fitness specialists that work with baseball players need to understand the science behind weighted baseball training programs. Yes, velocity goes up, but at what cost? Based on this study, weighted baseball training does not change mechanics, increase arm speed, or increase arm strength. In fact, they may inhibit strength gains. They do stretch out your shoulder in a potentially disadvantageous way and lead to a 24% chance of injury. 1 in 4 players sustained an injury. Are you willing to accept that risk? Once you understand the science, you can make a more educated decision if using weighted baseballs is appropriate for you. And if you do, how to safely and effectively choose to use these programs on the right players at the right times. Please share this article with anyone that you feel shares our goal of advancing the game of baseball. I feel that many baseball players, parents, and coaches simply are not aware of the science. The more we can share the science, the better we can become. We need to get better. We need to accept the science. https://elitebaseballperformance.com/wp-content/uploads/2017/10/EBP.com-Blog-Featured-Image-Template-4.jpg 628 1200 Mike Reinold http://Elitebaseballperformance.com/wp-content/uploads/2016/12/ebp-green-transparent-horizontal-logo-300x96.png Mike Reinold2017-11-07 06:00:412017-11-13 05:09:16Are Weighted Baseball Velocity Programs Safe and Effective?